Money can’t buy happiness, but research has shown that spending your money on experiences rather than things is a better path to joy. And I’d have to agree. I mean, I love wrapping myself in soft, cozy cashmere — but remembering a hike to a secret waterfall with my husband gives me even more warm fuzzies than any sweater ever could. 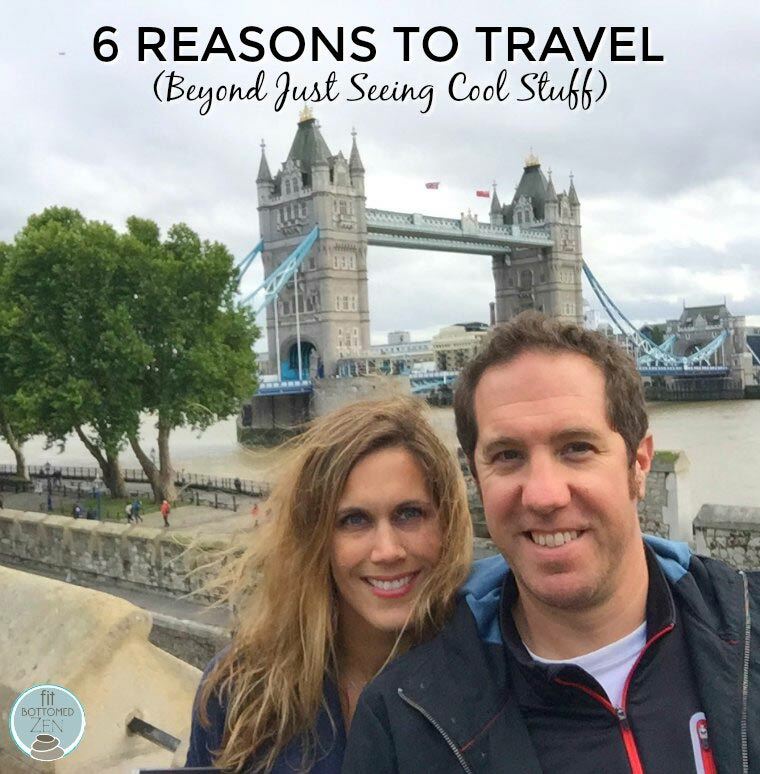 A recent trip to London and Italy — my first time in Europe, by the by — got me thinking more about all of the amazing things we get out of travel … that don’t require a spot in our carry-on luggage in order to come home with us. This is the case for any trip to a new location, but I found the benefits to be particularly strong when traveling abroad. Here are a few I’ve experienced. What would you add? On a typical day at home, I go to the same places and do more or less the same things — and I can pretty much do it all on autopilot unless I make an effort not to. When I’m finding my way around a new city, though? I’m looking at all the things, all the time, taking note of where I am, where I’ve been, and where I’m going. Plus, I make a point to really see what’s around me and take it in. I am there, you know? 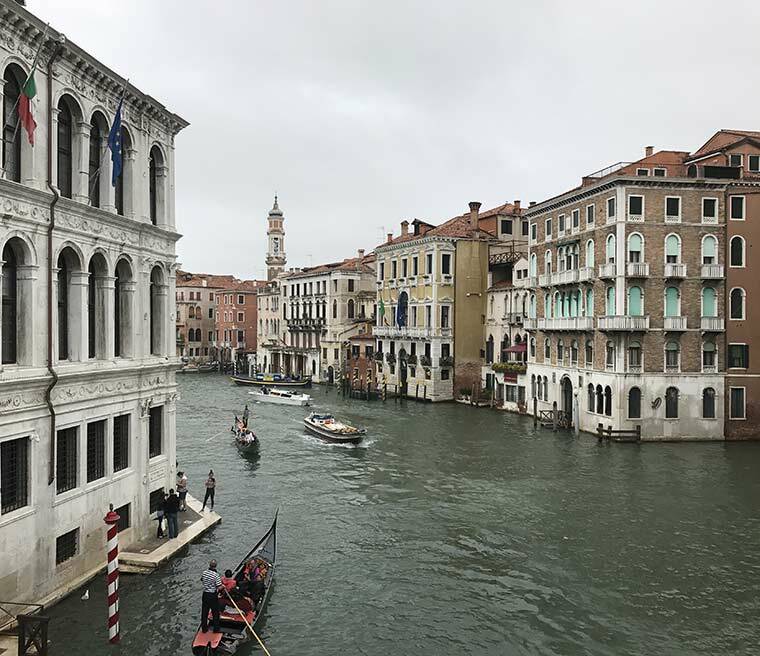 We stayed with a friend in Vicenza, Italy — and a few of our mutual friends had visited her previously. Chatting with others who had been there before us was so much fun, both for us (because we learned about their favorite places to go for gelato and how to order a spritz properly) and for them (because they got to relive a fabulous vacation). Now that we’re home, we’re planning an Italian night with some of those friends so we can share wine, recipes, pictures, and memories with one another. I love languages, and put a bit of effort into learning very basic Italian before we left. I knew I wouldn’t be able to converse with locals, but I figured I’d at least be capable or picking up a word or two, and it would be nice to be able to read signs and menus — especially since I have a little fluency in Spanish. But guys? It was hard. Really hard. There were many times when I felt pretty dumb, and while I’m sure I would’ve picked up much more Italian if we’d been there more than a few days, I couldn’t help but think about people who move to the States with no more than a basic grasp of English (which, let’s all admit it — it’s a horrifically difficult language to learn with all of its inconsistencies and varied pronunciations). I like to think I’ve always been understanding of people who don’t understand me, but my patience has definitely grown after being on the other side. A few weeks after our vacation, our neighbors left on their honeymoon — which included a 14-hour layover in London. I positively reveled in sharing our experiences, favorite places, and tips for making the most of their time there. I do the same thing with Hawaii — any time I hear that someone is heading that way, I pull out my spreadsheets in case they need recommendations. It was no surprise that my husband and I thoroughly enjoyed the pub culture of London, and the affordability of wine in Italy was fantastic. But our favorite takeaway had to be the fact that, when eating with a group in Italy, you eat when your food is served. Period. You don’t wait for the rest of your table to get their dishes, and you don’t worry about whether your neighbor’s meal is late. You dig in while the food is hot. Now that we’re home, we’ve adopted this custom, declaring, “Let’s eat like Italians!” Because nobody wants to sit and watch their food get cold, right? We have yet to hear anybody complain. Of course, this is only true if you’re traveling with someone else, but sharing the experience of new places, new foods, exciting adventures — it’s a big deal. Nobody but my husband is likely to laugh at my frutti di mare references, and nobody else fully appreciates what it took for me to jump off Black Rock in Hawaii. The shared experiences create a special bond, and it’s one for which I’m really grateful. And it’s not only a travel partner you might find yourself bonding with — you just might find yourself befriending other people who you’d otherwise likely never meet. Whether it’s the mom traveling solo with a baby on your flight or the retired couple you happened to sit next to at a restaurant (in our case, it was a couple from Belgium celebrating 56 years of marriage by coming to Venice, which is what they do every year on their anniversary), traveling gives you the opportunity to talk to new — and often interesting — people. I’m not generally much of a “chat it up with strangers” kind of girl, but something in me changes on a vacation, and I find myself genuinely curious about the people I come across — and that feeling often seems to be reciprocated.